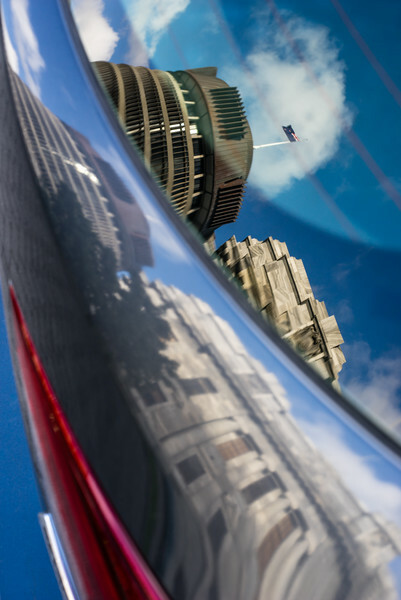 The Beehive - the Executive Wing of the New Zealand Parliament in Wellington - reflected on the trunk and rear window of a car. You may think that the photograph should be turned 90° to the left and I guess this would work just fine. However, I have composed this carcolor just like this, in portrait format, and this is why I cannot look at it in landscape mode. If you want, have a look at the carcolors gallery with many more examples of reflections and distortions on shiny car bodies.